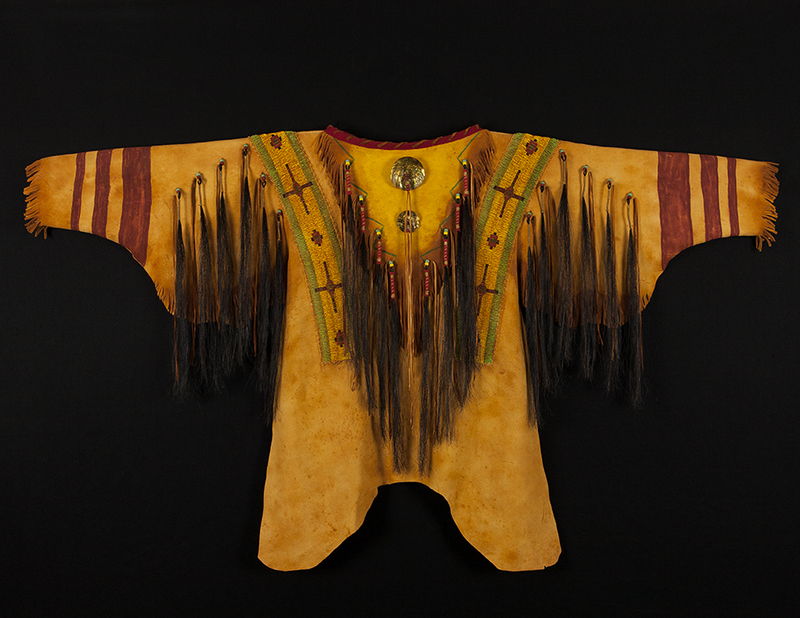 Warriors shirts or war shirts were created to honor a warrior's exploits in battle. 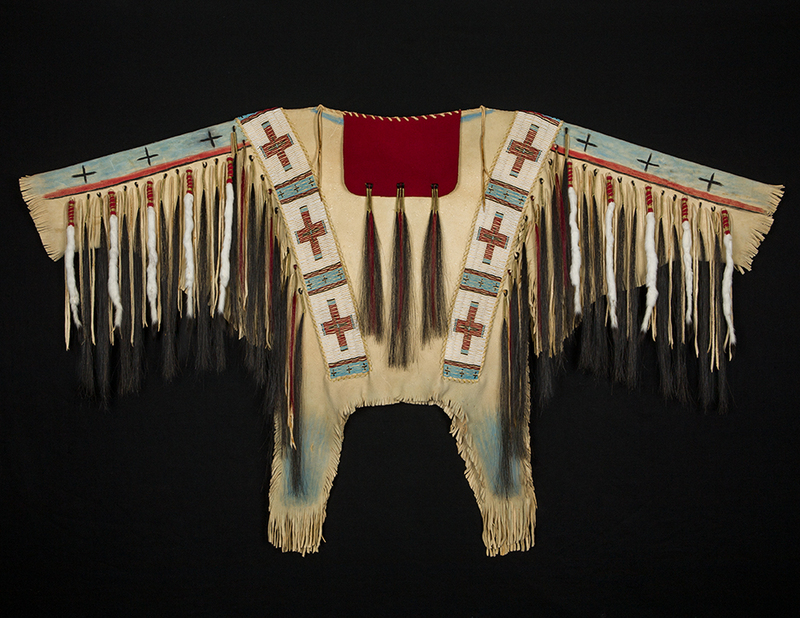 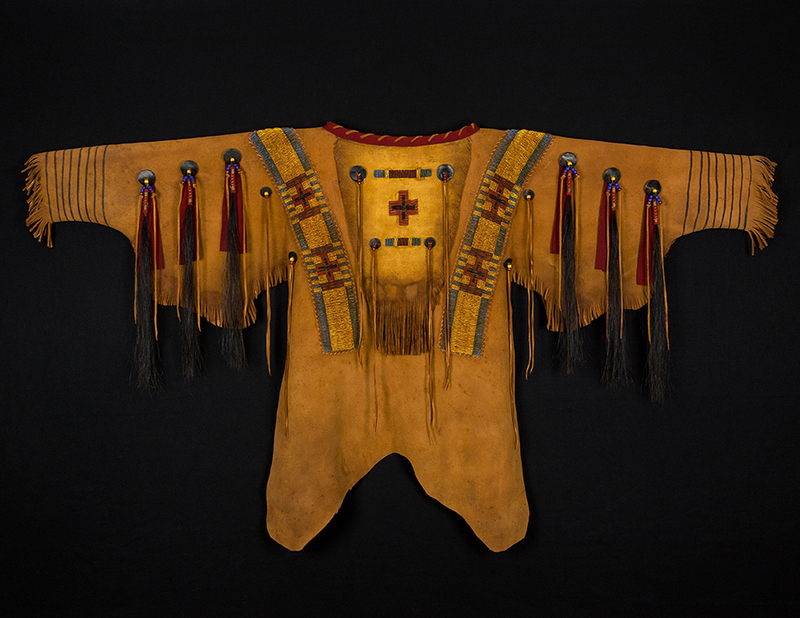 Some shirts were also considered to have spiritual power, which was transferred to the owner or wearer. 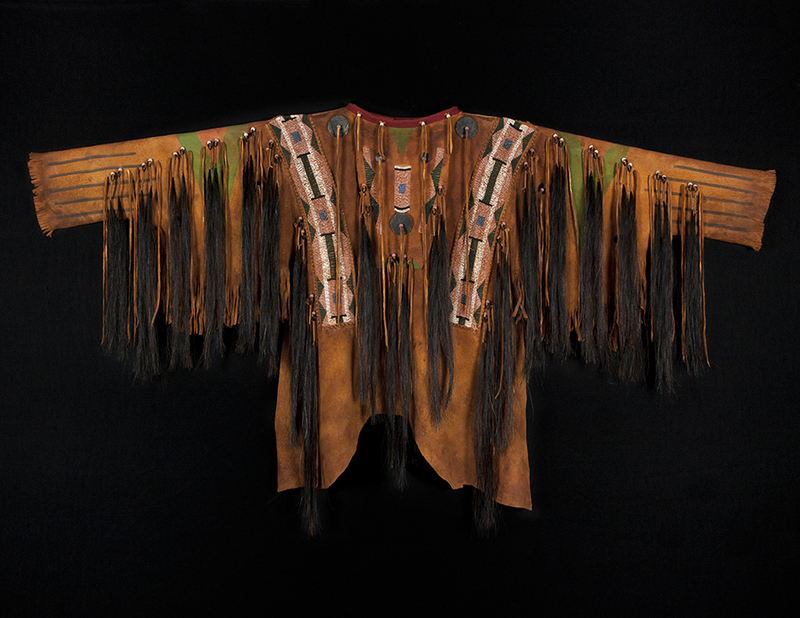 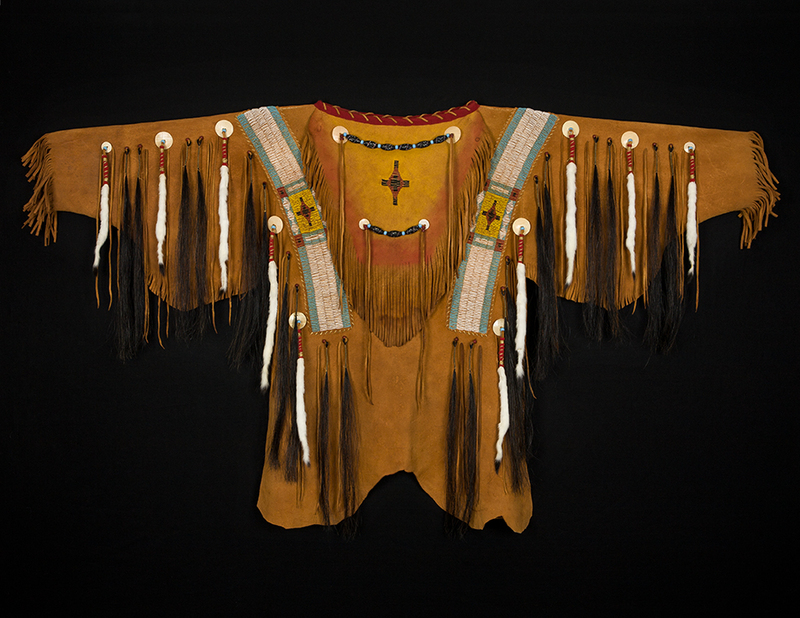 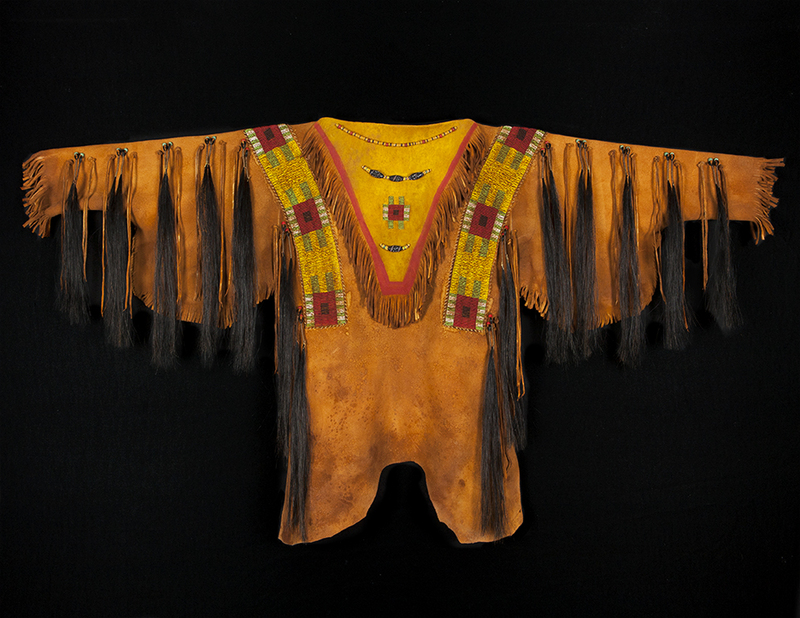 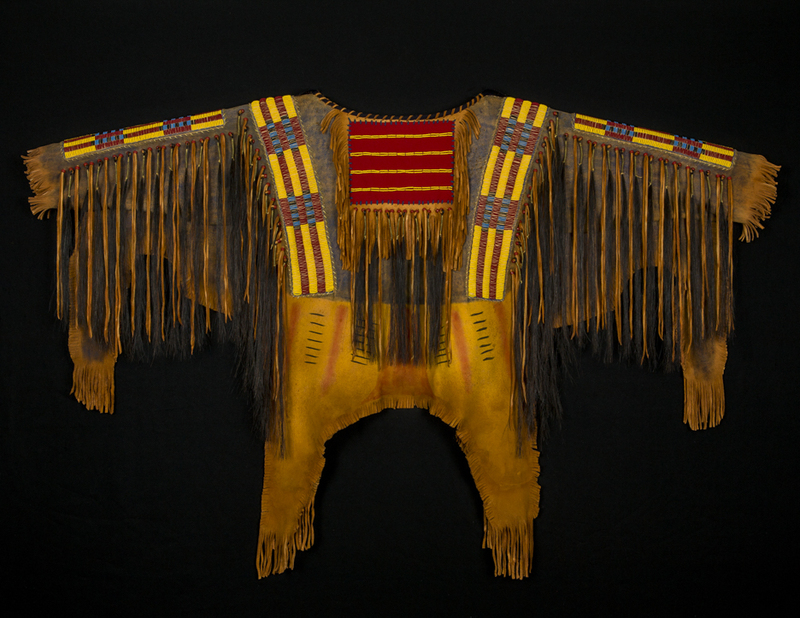 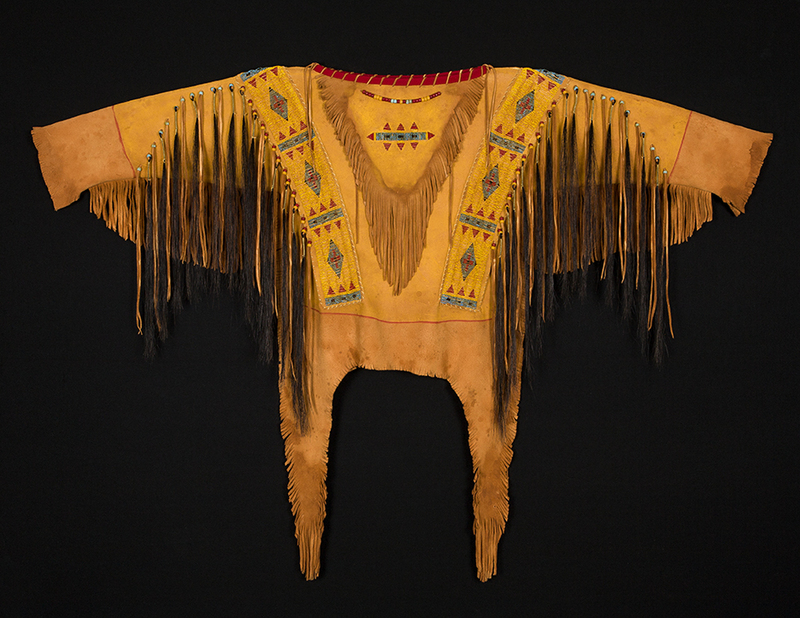 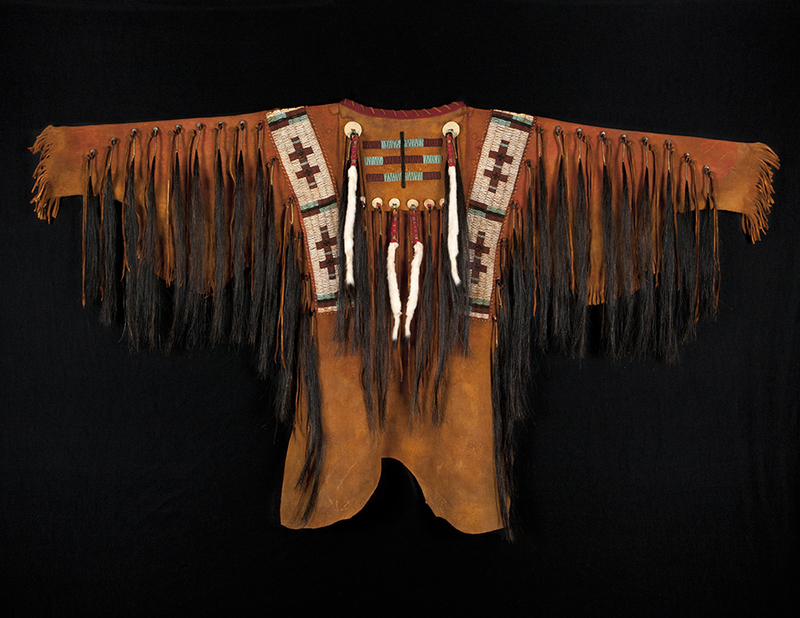 Shirts were generally made of leather hides and decorated with materials that conveyed meaning to the owner. 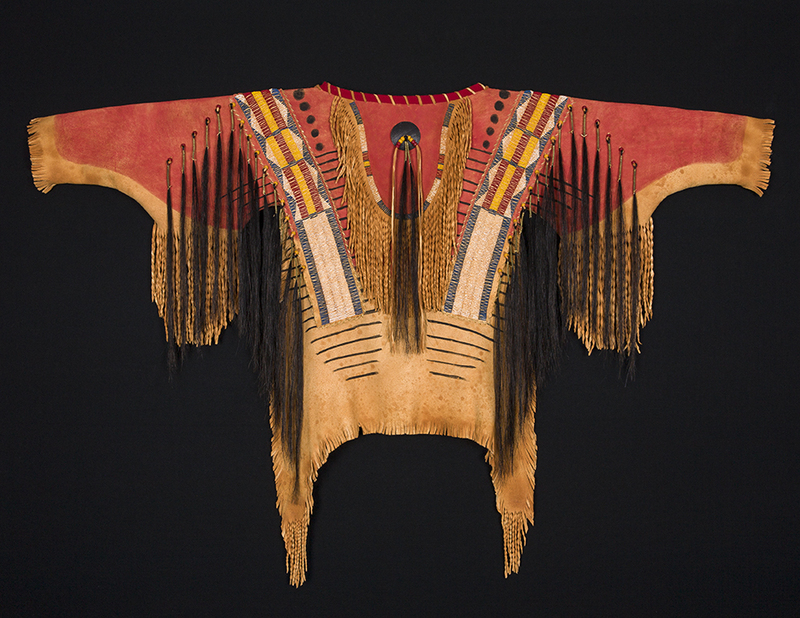 Traditionally these included horsehair or human hair, trade and seed beads, shells, trade cloth, quills, animal pelts, fringe, and earth pigments or trade paints. 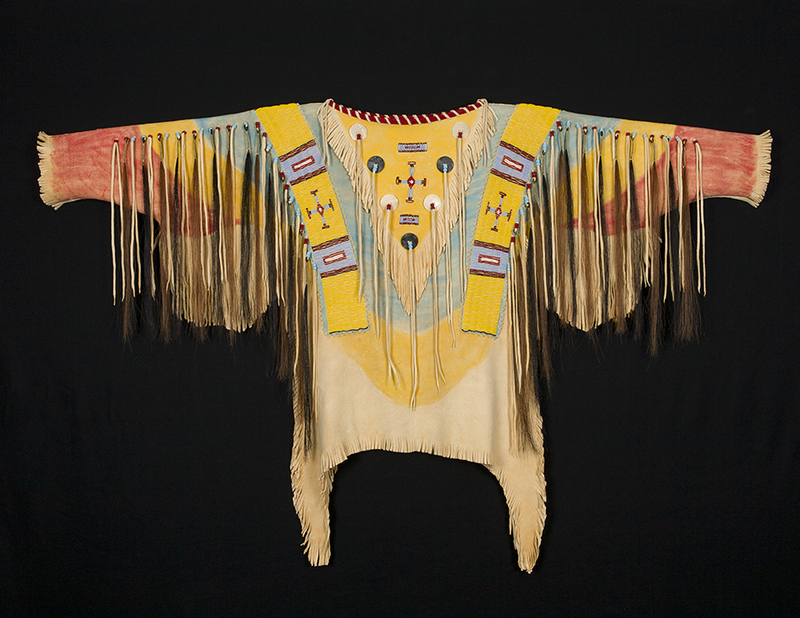 The various decorative elements signified meaning to the owner and were a visual representation of their lives. 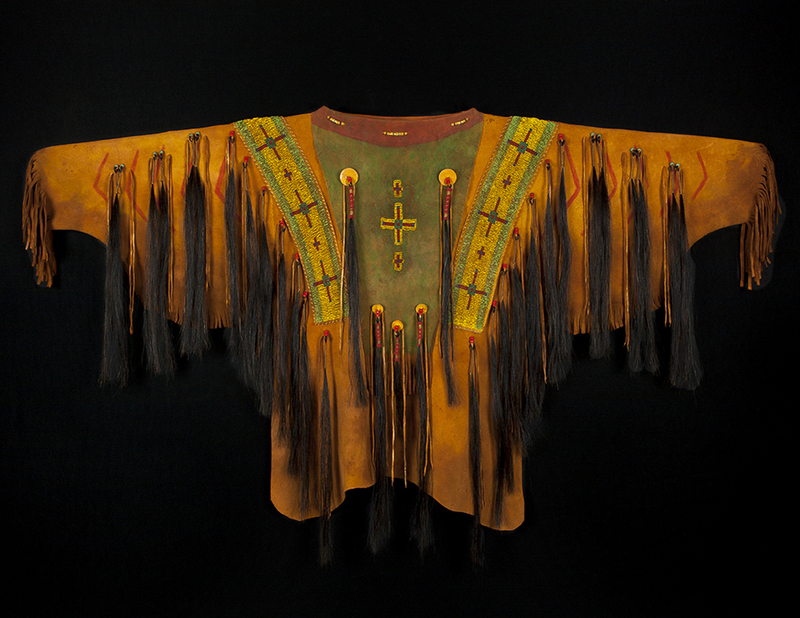 I create these shirts using as much of the same materials as were origionally available . 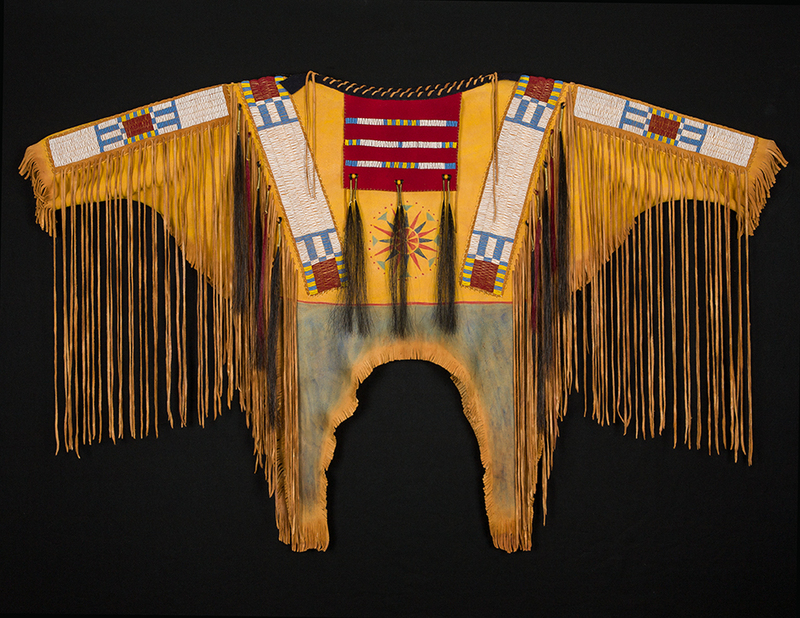 My shirts are full size renditions averaging 60"- 66" W x 36"- 48" L. All designs are my interpretation of what I have seen or created, some are close to historical examples, but none are copies.